We know yoga is a great physical practice—it tones the body, encourages flexibility and promotes relaxation. But it’s also an extremely powerful emotional practice. We tend to hold emotions and past traumas in our bodies. Any heartaches, heartbreaks or trials we’ve experienced, but haven’t felt deeply, can easily make their home within our bodies. Yoga is a very useful tool to help clear out these toxic energies and find true healing, from the inside out. When we hold asanas (poses) for long periods of time, feelings start to bubble up within us. Especially as we turn our focus inward, we become more aware of what is going on within. Holding poses for a long time activates our feelings and emotions. We begin to tune in and really feel whatever is coming up. 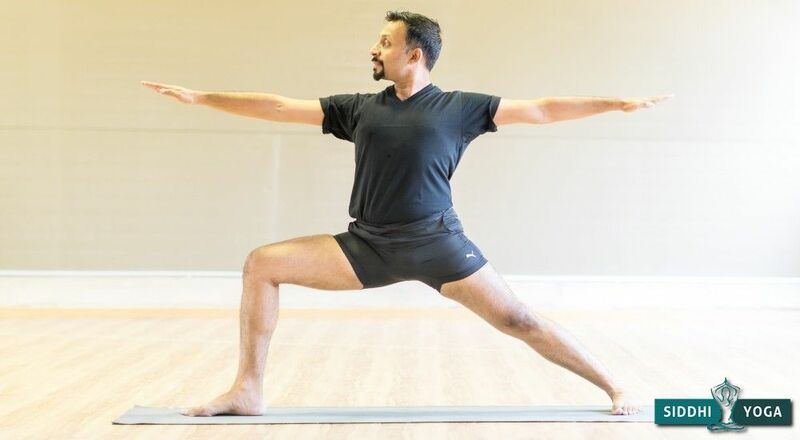 As we continue our practice, we’ll notice specific poses hold more tension than others. Those are likely to be the same ones that will help us feel and heal the most. This deep hip opener is a great place to start. We carry a lot of tension in our hips and Frog pose is quick to let us know. This pose can become very uncomfortable. See if you can stay through the discomfort, one breath at a time. It’s important to note, discomfort and pain are two different things: stay through discomfort; come out of the pose if you feel any pain. 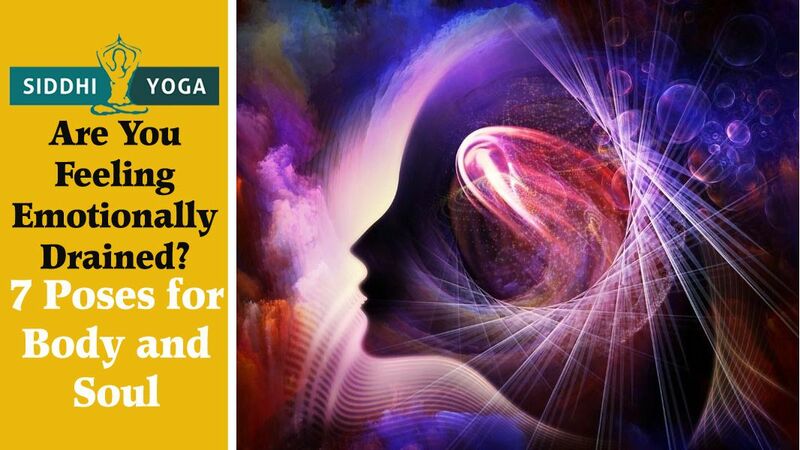 Establishing a strong mind-body connection is one of the first steps to healing past traumas. In order to heal, we must learn how to look inward. Yoga helps us do this because it gives us a safe place to explore the sensations in our bodies. As we get more practiced at noticing what’s going on within, we begin to notice more emotions arise. Grounding poses help us form a powerful mind-body connection because we are both in our bodies but supported by the earth at the same time. They give us space to feel and be held simultaneously. Supta Baddha Konasana is a good place to ground while completely relaxing into the mat. Place one hand over your heart and one hand over your belly to keep your attention on your breath and in the present moment. Sometimes all we really need to heal is to let go. Unfortunately, letting go has become somewhat of a cliché in yoga bubbles. However, letting go doesn’t necessarily mean releasing pain or anger, sometimes it means surrendering to it; letting go to it. Oftentimes, we resist the feelings that don’t feel ‘good.’ But in actuality, feelings are neither good nor bad. They just are. And feeling them isn’t what’s painful. It’s our resistance to feeling that causes us pain. So sometimes, we simply need to surrender to our feelings to heal them fully. Pigeon pose is a fantastic place to let go. Because our hips carry so many emotions, when we open them deeply we often have no choice but to surrender. If you find yourself crying in Pigeon a lot, that’s completely normal. In holding this pose for a long period, we break through those walls we’ve built up around past traumas and often release them through crying. This is very healing. Have you ever experienced a ‘light bulb moment’ in a yoga class? Like you suddenly realized why you’ve been feeling specific way for so long? Yoga helps us dig deep and get very vulnerable. Vulnerability is essential to our healing. When we can’t be vulnerable, we start to shut people out. We build walls around our hearts as a form of ‘protection’ when all we’re really doing is harming ourselves. We must be able to open our hearts in order to find self-love, healing and ultimately, to love others fully. Heart opening poses help us do just that. By physically opening our hearts, we send a signal to our inner heart to open up as well. Wheel is a deep heart opener that helps us break down those walls and learn to open up our hearts. This is a great pose because we’re opening our hearts but we have our hands and feet on the floor at the same time keeping us grounded. So often, when we get angry, we react rather than respond. Reactions turn into regrets. We snap and don’t take a moment to think, or even breathe, before we speak and end up hurting someone else or ourselves. Yoga creates a space for us to learn how to respond to tense or unfortunate situations with equanimity. Responding to these situations instead of reacting usually results in a more calm-minded and kind interaction. And, we’ll most likely walk away from it feeling better than if we’d reacted. Balancing poses help us learn how to respond. When we fall out of a balancing pose, like Dancer, we have two choices: we can either get angry and frustrated that we fell, or, we can take a deep breath, maybe even smile, and get right back into it. Ahimsa translates from Sanskrit to, ‘non-violence.’ It is inspired by the concept that all living things are sacred, and therefore, should not be harmed. This applies to you, too. We talk a lot about being kind to others, but sometimes we forget about ourselves. Just as we should treat other with kindness and compassion, we need to treat ourselves the same way. A lot of us tend to be very hard on ourselves. Whether it’s the way we look, how smart we are or our general standing in life. Think back on how you talk to yourself when you make a mistake. Would you speak to your best friend in the same way? Yoga teaches us to be gentle with ourselves. We’re taught to take rest when we need it and to listen to our bodies. When we learn how to do this both on and off the mat, we become more in tune to our feelings and emotions, and we understand that we must be kind to ourselves in order to heal and find self-love. Often, all it takes is going back to basics. Child’s pose serves many purposes, one of which is as a place of rest. Take Child’s pose in class anytime your body is telling you to slow down. You can even take it on your own, anytime you’re feeling overwhelmed and need to take a few moments to nurture yourself. Finally, in order to heal past traumas, we must bring our inner power to life. This is not aggressive or controlling power, this is empowerment. It’s confidence, courage, truth; it’s a willingness to show up in your life. Self-empowerment is a place where you acknowledge your path and you don’t run away from it. Instead, you embrace it. And you embrace all that you are—strengths and flaws alike. Warrior 2 helps us dive deep into our power. It creates a fire in our legs and a sense of freedom in our hearts. Let yourself have fun in this pose. Play with arm variations and stay just a little bit longer than you’d like to. You’ll be amazed at what comes up inside. Yoga can help you heal trauma and heartache just as much as it can improve flexibility and strength. But you must approach your mat with an open mind and open heart. Do this, and healing will come. Slowly, but surely. This is exactly what i needed to read, Blessings & Gratitude. As a teacher now for 15 years, I have always held a deep fascination for the balance Yoga brings. Delving into the Emotional Body & the pain body is something that I love to share with my students.